Activities in daily living can physically affect our bodies. It takes its toll, tightening muscles, ligaments and tendons bringing on decreased movement and discord within the body. But it doesn’t have to be this way. Remedial massage and cupping releases muscles, improving movement and decreasing discomfort. Whether you have frequent dysfunction or regular muscle soreness massage can benefit you. Our treatment focuses on your musculoskeletal system, using traditional and more progressive treatments to improve muscle, ligament and fascia function. 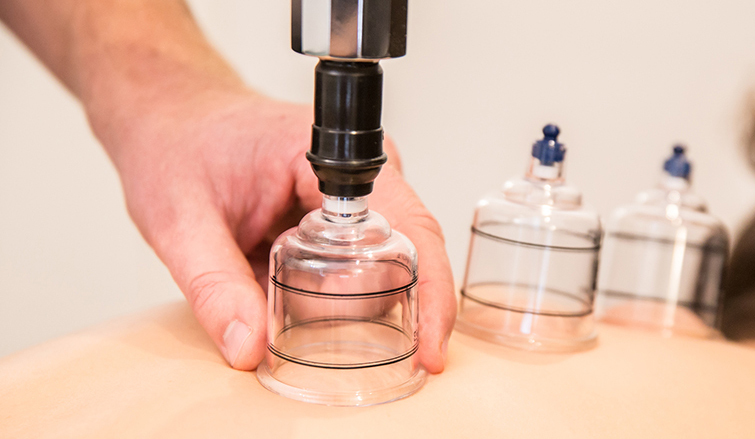 Our massage therapists are also qualified to use cupping techniques. This is used in conjunction with regular massage techniques. We focus on addressing the cause of your symptoms not just the pain. Many massage techniques are employed in our centre and often utilized in your treatment plan. Allowing us to get you moving better and function normally. Remedial massage compliments chiropractic care as it allows all aspects of the musculoskeletal system to be assessed and addressed.